SEA and SKY (DUO): Also known as Love Cycle, a color coordinating deep shimmery blue and a shimmery silver-ish sky blue. I love to pair the silver-ish sky blue with any dark matte eyeshadows. 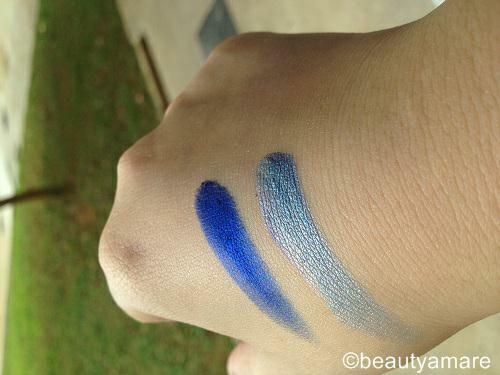 I just love the effect that it shimmers, not a scary shine, but naturally smooth shimmering effect.On the other hand, I also like to wear the dark shimmery blue alone on my lids and blends up to my crease. gold shimmer on a matte eyeshadow base. Naturally beautiful. 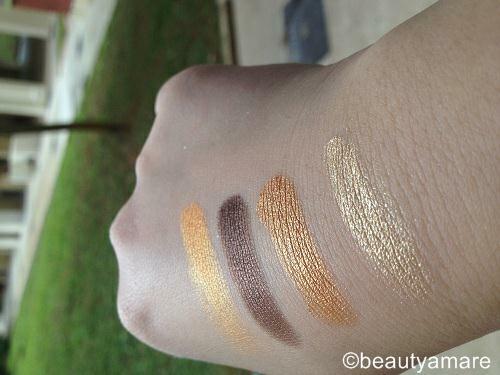 NATURAL FLARE (QUAD): Under quad collection which features the coppery-bronze, bright orange-gold, deep chocolate brown, and soft, dirty gold. This is the most I used for everyday look. I do a natural smokey look out of this pot. 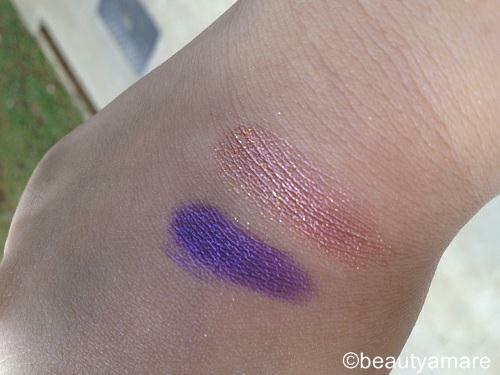 I could not compare much from other MAC permanent shades since I just recently collect makeups and slowly slowly knowing them. Overall, these got great color payoffs especially when applied wet. I can only say that it is worth the money. This cost about SGD26.00-SGD33.00 (PHP910.00-Php1,150.00) here in Singapore. 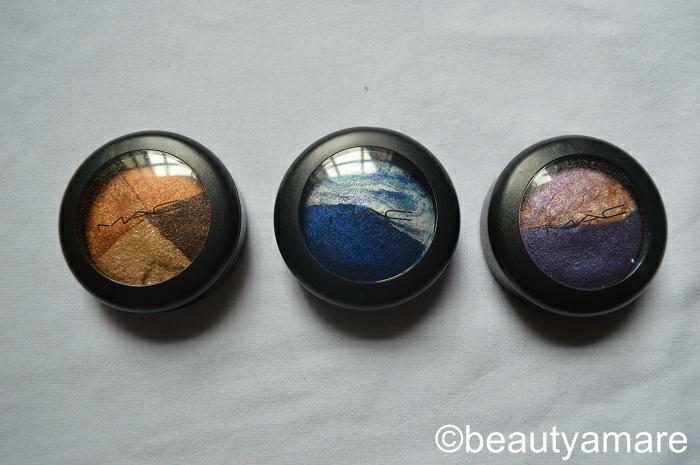 NOTE: An eye primer is recommended before applying these eyeshadows to eliminate the colors from smudging. To know more about MAC products, please click this LINK.